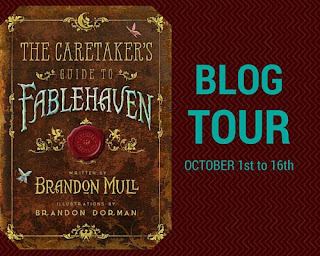 This guidebook to the Fablehaven magical preserve is filled with everything a new Caretaker might need to know in order to survive. There are entries detailing important information about artifacts large and small, a complete bestiary of creatures (from fairies to trolls to satyrs), a guide to identifying demons, dragons, and wizards as well as valuable insights into the other magical preserves. 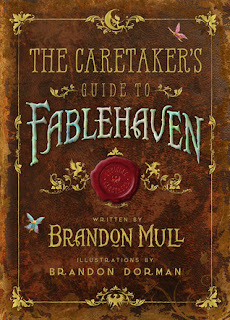 Immerse yourself into the secret knowledge that has been handed down through the generations by reading the updates and notes written in the margins by the former Caretakers of Fablehaven, including Grandpa Sorenson, Kendra, and Seth. 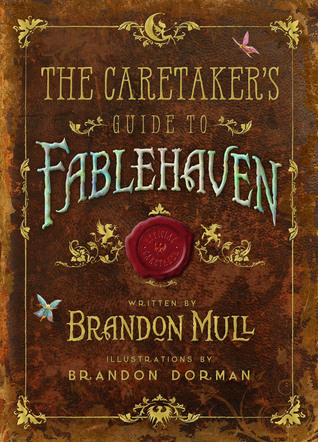 Fully-illustrated, this unique encyclopedia has gathered the world of Fablehaven into one volume. Scattered throughout the book are colorful fairies that also mark some of the characters, artifacts, and creatures that will be featured in the upcoming sequel series, Dragonwatch. 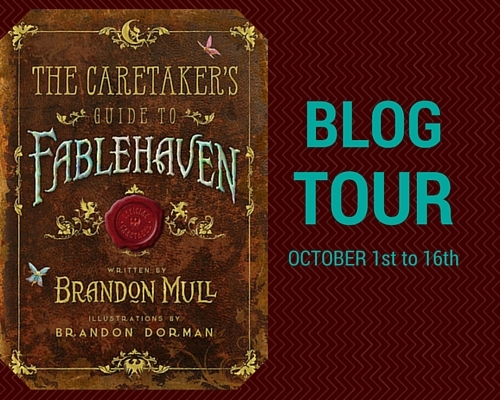 I was invited to be a part of this blog tour by the publisher and was thrilled to have the opportunity. I have loved every piece of this story that I have read and couldn't wait to see what was in store for the Guidebook! I love picking up these little "extra" books if I am a fan of the series (I have them for Eragon, TMI, and Divergent) so I was super excited to start reading this one. There are a lot of fun little tidbits about the magical items and creatures that made me want to pick up the series again! While it is just an information book, it gives you some more insight to the world that Mull has created and what's in store for the next series! I can't wait for that one. 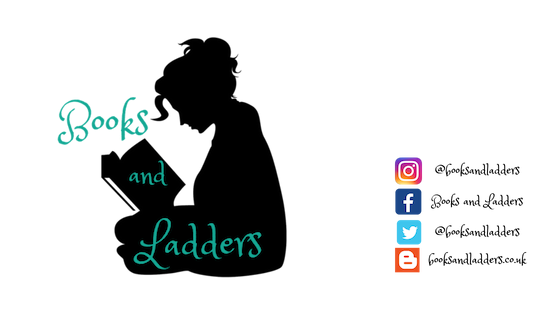 If you are a fan of this series, then this is a book for you! You can pick up a copy on October 13th and I highly recommend it.